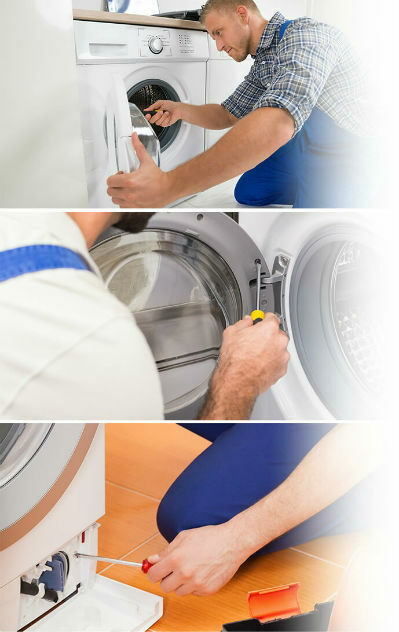 Schedule and book your washing machine repair service online. A skilled technician will arrive to take a good look at your appliance. He will identify the problem and use suitable tools and parts to fix it. 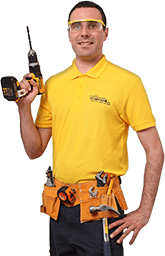 The expert will troubleshoot your appliance to ensure that his job is done. Spending money on temporary repairs that will let you down a couple of months down the road is impractical at best. The parts supplied by the washing machine and dryer repairman come straight from the manufacturers to ensure optimal performance even under heavy workloads. All operatives under our trusted partner’s banner have successfully passed all relevant courses organised by the esteemed City & Guilds of London Institute. This means that they know the inner workings of both old & new washing machine and dryer models like the back of their hand. Other companies are quick to guarantee their work, but are often hesitant to do so when the time comes. This company has won itself a loyal following by delivering on its promise and offering 1-year guarantee for all repairs and replaced spare parts, no questions asked. To get the most out of your repairs, you need to know how to maintain your appliance on a daily basis. Upon request, your engineer can provide you with useful washer machine and dryer maintenance tips that you can utilise to significantly prolong the life of your investment. * All prices are fixed and include the call out, diagnostics, repairwork and the installation and supply of common parts provided by the technician. However, sometimes additional parts will need to be ordered. There are no part delivery, supply, or installation fees. – Prices are inclusive of VAT. Flat labour cost. Detergents are on top. – The services are not charged by the hour. - You will receive a written report upon service completion. If parts need to be ordered, you will receive a price quote for the order and a second visit will be arranged. The second visit will only include the cost of the ordered parts. - The experts fix appliances (electric only) of any brand and model excluding microwaves and coffee machines. - An additional charge of £15.00 is applied for any MIELE appliance. An additional charge of £20.00 is applied for bookings in W1, WC1, and WC2. If you wish to cancel your appointment, please give at least a 24-hour notice before the start of the service. My appliance stopped working. What should I look for? See if your power or water supply has been temporarily disconnected. You can also check for leaks near the appliance or openings in the door seal. If none of these issues prevented your appliance from working, disconnect it and seek the help of a certified local technician. How quickly can the repairman arrive? Depending on the current availability, this could happen on the very next day of your booking. The specialist will text you 30 minutes before he arrives at your address. How long do the repairs typically last? Most sessions last anywhere between 1 and 2 hours. This estimate, however, may vary depending on how difficult the repairs are and on whether any extra parts need to be ordered. The entirety of the repairs, as well as all parts that have been installed by the expert. Which places in London do you cover? Your washing machine repairman can arrive in almost any area within M25.